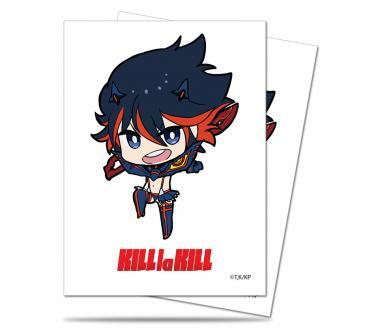 Bring cute "chibi" Ryuko to your next gaming session with these officially licensed Kill la Kill Deck Protector sleeves. These card sleeves protect your tabletop gaming cards from damage during game play. All Ultra PRO Deck Protector sleeves are made from archival-safe polypropylene film. These sleeves are sized to fit standard "Magic" size cards measuring 2.5" x 3.5" and comes in 50-count packs.